If you can't come to us, we will bring the Peach Garden experience to you! You can still get the epicurean pleasures you so enjoy at Peach Garden even if you are planning a wedding at a venue of your choice. Our off-premises premium buffet catering service offers a wide selection of sumptuous cuisines that promise to tantalise your guests' taste buds. Be it an intimate lunch occasion or an elaborate wedding dinner celebration, our chefs will help you create a personalised menu filled with culinary delights. Our services include drop-off catering and on-site cooking by our experienced chefs. For on-site cooking, all that is required is a kitchen within the premises. This Package excludes Venue Rental and any other tentange and required power requirements. Price quoted is subjected to 10% service charge and prevailing GST. Additional surcharge of $3000+ will apply for weddings held on public holiday (eve of and 15 days throughout Chinese New Year) & special occasions (F1). Kindly note that package price is subject to changes and complimentary items are strictly non-exchangeable. A deposit of $5000 nett is required upon confirmation to secure the package, 50% required 3 months before the wedding date and final amount required on the event day after the event. Any miscellaneous charges will be settled on the event day. Reservations of the venue as well as menu items are subjected to changes and availability. A deposit of $3000Nett is required upon confirmation to secure the package, 50% required 3 months before the wedding date and final amount required on the event day after the event. Any miscellaneous charges will be settled on the event day. 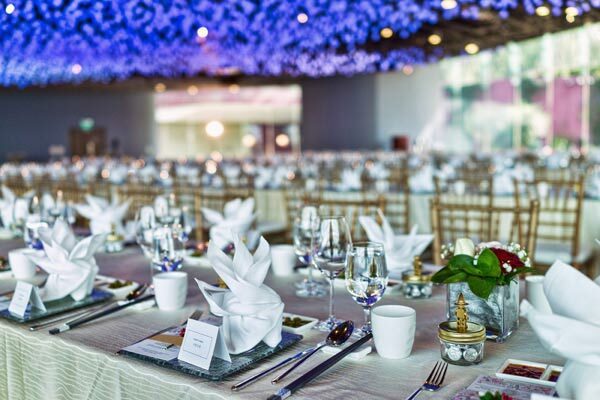 Additional surcharge of $3000+ applies for wedding held on public holiday (eve of and 15 days throughout Chinese New Year) & special occasions (F1).